Here in the US, Canada, and many other countries, Thanksgiving and Christmas holidays roll around every year.This usually means more parties, more get-togethers with friends & family, more socializing than normal and in many cases more partying.While many people get that warm feeling of excitement and love inside as the holidays approach–if you’re jealous, this time of year can spell serious trouble. We know how it feels to go to holiday get-togethers and have those feelings of dread and anxiety come up that we couldn’t get rid of no matter how hard we tried to have fun and just enjoy the party. 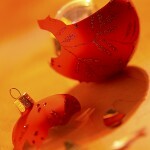 We know what kind of extra stress the holidays can put on an already stressful situation. If you’re ready to really do something about your jealousy, now is as good a time as any to start. We invite you to check out our “No More Jealousy” book and audio course and start getting the help you need. Right now, we’ll give you 3 ways to keep jealousy from ruining your holiday. Try them out before your next holiday gathering and look for even a small bit of relief and ease. Look for what’s different. Look for what goes “right” instead of focusing on what goes wrong. Congratulate yourself even if your partner doesn’t notice or refuses to acknowledge the changes you are making. Don’t give up–You can do this! If there’s one thing that feeds jealousy, it’s the expectation that something’s going to happen to cause your jealousy–over and over again. Joan became very jealous when it seemed like the wife of her partner Joe’s best friend seemed to stand a little too close to Joe when their group of friends got together. To Joan, this woman touched Joe too much and she always seemed to be around him. Joe denied that he had any interest in this woman and that he didn’t even notice when it happened. They had talked about it so much that it was a sore point between them and Joan always ended up not wanting to go when SHE was there. When Joan looked at her expectations about these get-togethers, she saw that she actually EXPECTED this woman to flirt with Joe. In fact, she looked for any sign that the woman was moving closer to Joe and was fixated on finding those signs. While not closing a blind eye to what was happening in front of her, she decided to really take it in that she expected this to happen. Even when she asked herself this question, she felt a little more ease around this situation. 2. Don’t make what your partner is doing more important than who you are with in the present moment. When you have jealous issues, you tend to make your partner’s life more important than your own. You make who your partner is with and what he or she is doing more important than who you are with and what you are doing. It may seem completely out of the question, but in order to find some peace and ease during this time of year, start shifting your focus to you and who you are with in every present moment. Joan saw that she was completely ignoring the other people at these parties and like a laser beam, focusing only on this woman and her husband. She knew it would take effort but she decided that she would pick out one friend at the party who she really liked and she would connect with her. She would purposely focus her attention, even for a little while, only on this friend. This was a scary thought for Joan but she decided that she would experiment with it. When the two of you can talk about what usually comes up to create tension and jealousy–and then create an agreement that both will honor–you’re on the road to healing. Too often, there are complaints and fears voiced but there’s no resolution. The key to getting some resolution is to start a discussion by using a phrase that will help your partner stay open. In our “Magic Relationship Words” program, we give you specific words and phrases to use in situations like these so that you can keep the lines of communication open. This time Joe listened to Joan. He told her that that certainly isn’t his intention to give Carol the idea that he wants to be with her. He told Joan that he feels awkward in making a “big deal” about this with Carol and his friends. Joan said that it doesn’t have to be a big deal. They talked about how they could both handle the situation if it happened again. Joan said that she would focus her attention on other people at the party instead of the two of them. Joe said he would be more aware of Carol’s attentions and politely move away if he saw she was becoming a little more intimate than she needs to. They also agreed to find each other at different times during the evening and connect briefly–with even the touch of their hands. This holiday doesn’t have to be like the ones that have happened in the past. We invite you to do a little work ahead of time so you don’t have that sinking feeling that once again your jealousy has ruined the season for both of you.